A thrilling segway excursion to admire enchanting corners and the most famous beach of the Cayman islands where we can relax in the Caribbean sun. 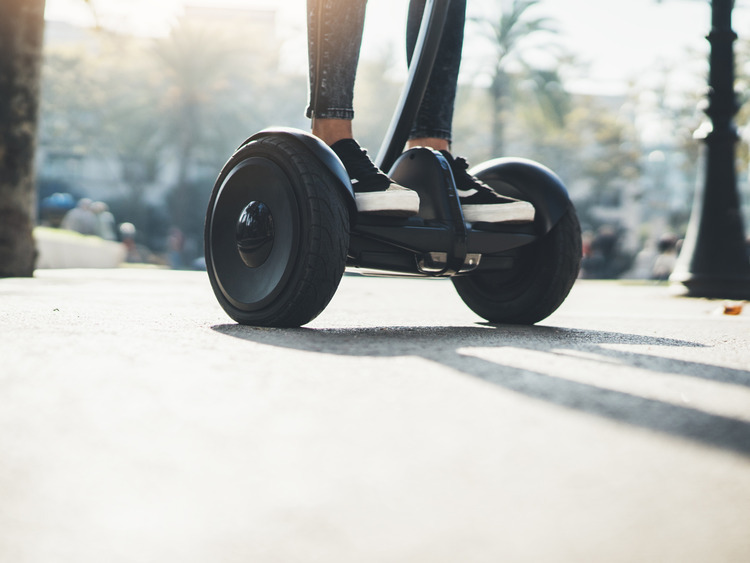 We reach the starting point of our excursion where a guide will provide essential instructions to ride our segways, fun two-wheeled self-balancing scooters that we move simply by shifting your body. After a bit of practice, we are ready for our adventure! On the way to Camana Bay, a lively tourist destination north of Georgetown with promenades flanked by palm trees and many shops, our guide will tell us interesting historical facts about the Cayman Islands. We explore the 20 metre tall Observation Tower offering magnificent views over Grand Cayman. We then continue on our segways as far as the Royal Palms Beach Club, from which we access the famous Seven Mile Beach, a true tropical paradise with 10 km of white sandy beach lapped by crystal-clear waters. We speed along the beach on our segway and admire the scenery. We then return to the Royal Palms Beach Club, where we enjoy a 90 minute relaxing break to soak up the Caribbean sun on the fine sandy beach, go for a dip in the sea or sip a cocktail purchased at the bar. This excursion is not recommended for guests lacking a good level of balance, reflexes and coordination. Pregnant women and guests with cardiac and back problems are not allowed on this excursion. Helmets, knee and elbow pads must be worn.